If you heard of living green walls before, but are not exactly sure what they are and how they work, then you will be pleased to know that they have a number of benefits. The first major benefit is that they are visually appealing and therefore are frequently installed in commercial and business properties. Secondly, they help to improve the air quality indoors which ultimately improves employee alertness and increases energy levels. This is mainly because green living walls are made up of actual living plants and therefore all of the benefits that come with these plants can be enjoyed by people around these walls. These vertical gardens as they are commonly referred to are a great solution for any property that wants to improve their space and get in touch with nature at the same time. So while you may want to keep your walls plain and basic, why not infuse them with life by using greenery. These green living walls are visually appealing, therefore, boosting employee morale. It doesn’t matter whether they are installed on the exterior or interior of your boating. They still create a wow factor irrespective of where in the building they are installed. 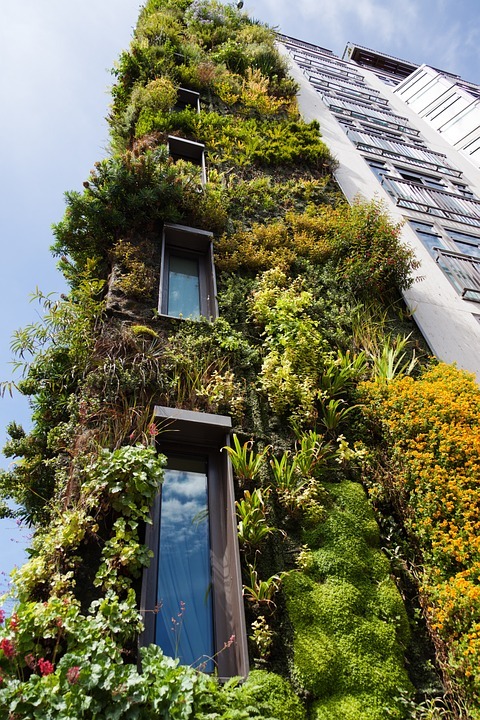 Living green walls or vertical gardens are actually breath-taking. In some ways, they can be considered living wall art. But not only are they visually appealing, but they also offer a variety of benefits for the health. Not only are they a natural air filtration system that the building occupants are able to enjoy, but they have soothing effects on people all around them. Plant life has the ability and the tendency to give people an overall sense of well-being, calm and it has the ability to get your creative juices flowing. This is why businesses all around the world such as hotels offices and so on having them installed as soon as possible. Another benefit of these green living walls that you may not have heard off is the ability to reduce energy costs. This is because the vertical gardens act to cool the air in the warmer months through a process called evapotranspiration. During the winter months, you have added insulation thus reducing energy costs on heating bills as well. Therefore they reduce energy costs irrespective of whether you are experiencing summer or winter months. So it can be seen as an all year round solution to reducing energy bills. So if you have not looked into living green walls for your business premises as yet, why not do so as soon as possible.